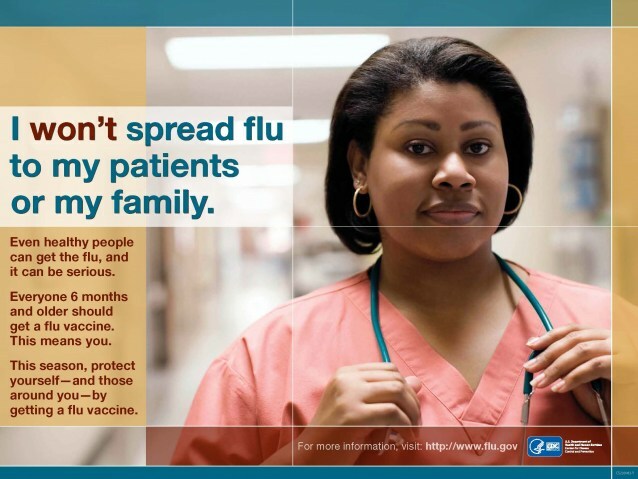 Prevent the Spread of Influenza! As part of Vanderbilt's mission to create safe patient care through education, research, and quality care, the department of Infection Prevention provides evidence-based, scientific, and proven resources to Vanderbilt faculty and staff as well as our patients and families. Through surveillance activities we detect potential healthcare-associated infections and develop action plans in collaboration with our quality and unit-based partners to mitigate those risks. We are a liaison to the Tennessee Department of Health and report communicable diseases for the institution as well as establishing a link to public health infrastructure in an effort to provide quality care to our patients. We are the content experts for infection prevention operations, research and educational activities, a position that we exercise regularly through our numerous publications and abstract presentations both inside and outside of the institution. Please use the menu at left to learn more about our department's functions and activities. The Tennessee Department of Health has confirmed as case of measles in an Eastern Tennessee resident who recently traveled to an outbreak area. As a reminder, measles is a highly contagious viral infection. The US is currently involved in an outbreak situation involving 5 states. Additional measles cases are expected to be confirmed. Public Health is working directly with involved healthcare facilities and known contacts; however, susceptible persons may develop (or may have developed) measles illness following an unrecognized exposure to this case. Susceptible contacts of the known case may develop rash up to approximately May 8, 2019. Epidemiology: Cases are infectious four days before rash onset through four days after rash onset. Average incubation period is 14 days (range 7-21 days) between exposure and rash onset. Measles is transmitted via respiratory droplets and is highly infectious. The virus may linger in the air of a room for up to two hours after an infectious person has left the area. Clinical Symptoms: Begins with a prodrome of fever (up to 105°F) and malaise, cough, conjunctivitis, and runny nose (coryza). Small bluish-white spots with red bases may be seen on the buccal mucosa (Koplik’s spots). Rash onset is typically 3-7 days after onset of the prodromal symptoms, beginning on the face and spreading downward. Complications may include bacterial superinfections or encephalitis. Consider the possibility of measles when evaluating susceptible patients with an acute febrile rash illness, especially if the person has been in Eastern Tennessee since April 11, 2019. Prevention: Vaccination is extremely effective, with two doses of MMR vaccine providing immunity to >97% of recipients. Ensure all patients ages 12 months and older are appropriately immunized and administer measles-mumps-rubella (MMR) vaccine to anyone over age 12 months who has not received MMR vaccine in the past 28 days and who does not have documentation of having received 2 doses of the vaccine. Infants may receive MMR vaccine after age 6 month in the event of an outbreak; however, the child would still require two doses after the first birthday to be considered appropriately vaccinated. Consider measles in patients with the acute onset of symptoms of measles fever (up to 105°F) and malaise, runny nose (coryza), cough, conjunctivitis. Small white spots on a red base may be seen on the buccal mucosa (Koplik’s spots). A macular rash appears 3-7 days after the onset of prodromal symptoms, beginning on the face and spreading downward. Consider measles when evaluating patients with an acute febrile rash illness, especially if the person has been in East Tennessee since April 11, 2019. · Mask the patient and place these patient in Airborne Precautions in a negative pressure room with the door shut. · Notify Infection Prevention immediately using the on call pager 835-1205. · IP and the Hospital Epidemiologist will notify the Tennessee Department of Health. · Blood specimen (red top tube) and a throat swab (on viral transport medium) is collected from the patient and sent to the state lab. IP facilitates through the VUMC Laboratory. · Prevention is essential with documented 2 doses of MMR vaccine especially for healthcare personnel. Healthcare personnel must have received two doses of MMR 28 days apart. Birth before 1957 DOES NOT qualify for presumptive evidence of immunity in a community with an ongoing outbreak. Resources for the public and medical community are available at: http://www.cdc.gov/measles/. For questions or additional information, please contact the VUMC Department of Infection Prevention at 936-0725 or via pager 835-1205. The diagnosis of Clostridioides difficile infection (CDI) requires the detection of bacterial toxin and/or antigens in the stool. Due to the need to better assess whether a patient has active CDI vs. stool colonization of a toxin-capable strain, the VUMC lab is migrating to a multistage reflexive test for CD. The previous CD test was a molecular PCR test that only could detect whether the patient had a strain of CD that could produce toxin (which causes clinical disease) NOT whether the toxin was being actively produced. Hence, there was a risk that a patient who was merely colonized with toxin-capable CD strains but had diarrhea due to other causes (e.g. tube feeds, laxatives) would be misdiagnosed as having CD infection and treated as such. The new test is a multistage test that first looks for the toxin gene by PCR (just like the old test) but then, if the gene is present (“PCR Positive), the second test looks for active production of the toxin (“PCR and Toxin Positive”). 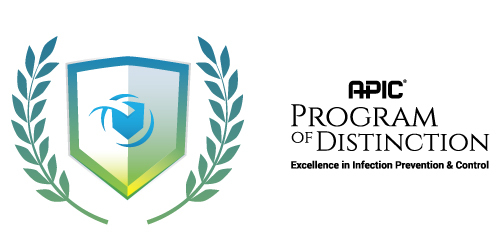 VUMC Named First APIC Program of Distiction in Infection Prevention! Tennessee is currently in the middle of a growing hepatitis A outbreak, centered primarily within Davidson County. The outbreak started in December 2017 and to date there have been 80 cases reported. In light of this outbreak, the VUMC Department of Infection Prevention reminds you of some important steps to prevent ongoing spread of this infection. Consider hepatitis A in patients with the acute onset of symptoms of hepatitis (yellowing of eyes or skin, fever, nausea/vomiting, dark urine, pale stool, abdominal pain, fatigue and loss of appetite). Those without an obvious alternative diagnosis should have serologic testing for acute viral hepatitis, including hepatitis A IgM. Do not test persons without signs of acute hepatitis: false positive IgM results can occur in persons without acute clinical hepatitis illness, especially in the elderly. Vaccinate those at higher risk for infection with hepatitis A (see list below). A single dose of the 2-dose series can provide protection for more than a decade. Resources for the public and medical community are available at: https://www.tn.gov/health/cedep/tennessee-hepatitis-a-outbreak.html, including a data collection tool for clinicians when encountering a suspected case. For questions or additional information, please contact the VUMC Department of Infection Prevention at 936-0725 or via pager 835-1205. As of April 30, 2014, the European Centre for Disease Prevention and Control (ECDC) reported 424 cases of MERS-CoV globally, including 131 deaths. All cases have either occurred in the Middle East or have direct links to a primary case infected in the Middle East. Human-to-human transmission has occurred to close contacts and healthcare workers, but no evidence of sustained human-to-human transmission has been documented. With such an increase in cases, it is much more likely that the US will see travelers who have been exposed and infected with MERS Co-V.
VUMC has extensive plans to identify and mitigate transmission in the event a case of MERS-CoV is suspected or identified. These were developed following the SARS outbreak of 2003 and are directly applicable to MERS-CoV, a similar virus. Recent developments highlight the need to be vigilant and continue to screen patients for risk factors. Healthcare providers should be alert to patients who develop severe acute lower respiratory illness within 14 days after traveling from countries in the Arabian Peninsula, or neighboring countries. This includes screening of patients for risk factors; airborne and contact precautions should be added standard and droplet precautions for patients with symptoms of acute respiratory infection if MERS Co-V is being considered. and submitted to our central receiving lab with the following documentation: VUMC test requisition, state specimen submission form (CLICK HERE), and CDC specimen submission form (http://www.cdc.gov/laboratory/specimen-submission/pdf/form-50-34.pdf). Please VERY CLEARLY indicate the suspicion for MERS on the test requisition to help avoid unintentional testing or opening of the specimen in the VUMC laboratory. 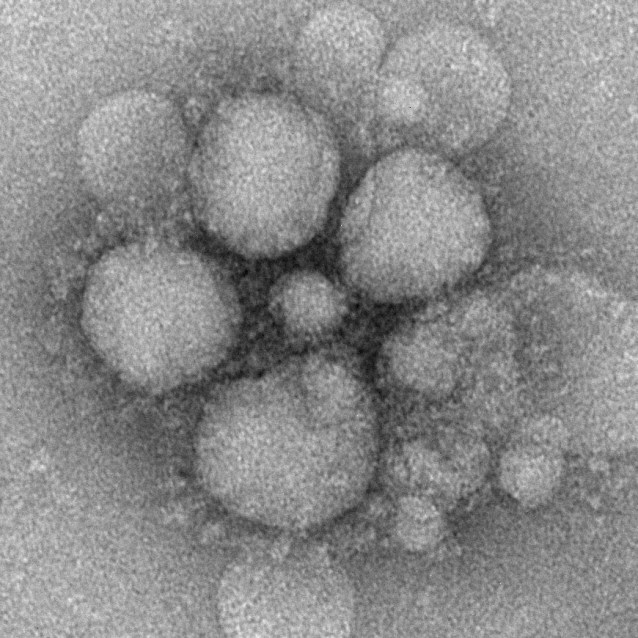 If the DDx expands to include MERS after respiratory specimens have been collected and submitted to the laboratory for other testing, please immediately contact the microbiology service so that we can assist in the safe management of those materials pending a determination of whether the patient meets PUI criteria. PREVENT THE SPREAD OF INFLUENZA!! VUMC policy requires annual influenza vaccination or exemption. Exemptions may be for religious or personal/philosophical beliefs or for medical contraindications. Those who wish to be exempted from receiving the flu vaccine must complete an exemption form, available on the OHC website beginning in September. Exempted personnel must wear a mask during influenza season as noted in the VUMC Immunization policy. More details on masking may be found here. Do you never get an annual influenza vaccination? Do you come to work with a "cold?" your colleagues, and your patients from influenza. TESTING FORM (Specimens sent to CDC via TN State Lab): Please note the lab client services number, 5-LABS (615-875-3227) on the test requisition as contacts for questions from the receiving lab. 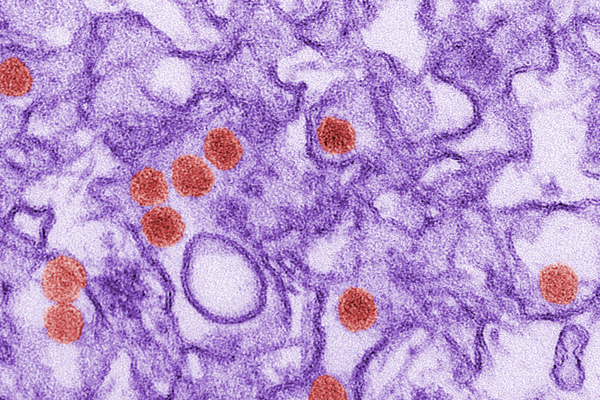 TDH will perform PCR and serology (IgM, IgG) for CHIK and forward specimens to CDC for Zika testing, which may involve a combination of serology, PCR, and culture-based demonstration of Zika-specific neutralizing antibodies. Note: per CDC, Because Zika virus testing is not listed in the drop-down menu for the Test Order Name field of form 50.34 (located on 1st page, top left), you will need to select ARBOVIRUS SEROLOGY and then type Zika testing in the Brief Clinical Summary field located at the top of the second page of the form. According to the CDC web site, results are usually available 4-14 days after specimen receipt, longer during summer months. A positive initial serologic screen for Zika will trigger confirmatory testing, which may delay final results. A report hardcopy will be available ~2 weeks after test completion and communicated directly to TDH Lab. In order to reduce the risk of false positive/contaminated urine cultures and to help better guide clinicians in the interpretation of positive urine cultures, VUMC has implemented a standardized urine culture testing process (known as U/A with reflexive culture) as part of a multi-part program to reduce variability around urine cultures. This program also includes guidance on the indications for urine culture ordering that will be presented on order entry, standardized specimen collection protocols, and tracking of urine culture contamination rates. For the U/A with reflexive culture process, a U/A will be sent with every culture specimen order. Clinicians will be asked on order entry if the patient has a recognized condition that could either impact the U/A interpretation or where national guidelines recommend treating positive cultures even in the absence of positive U/A results. These are 1) pregnant patients, 2) patients undergoing urologic surgery, 3) neutropenic patients, and 4) children under 25 months of age. In the absence of any of these conditions, if the U/A is negative (defined as negative nitrites, less than small leukocyte esterase, and <5 WBC/hpf), then the urine culture will not be processed. If the U/A is positive, the urine culture will be processed without requiring any additional action from the ordering clinicians. If the clinician notes the presence of any of the 4 conditions listed above, they will have the option of ordering either a U/A with urine culture or urine culture alone. National and international health authorities are currently working to control a large, ongoing outbreak of Ebola involving areas in West Africa. There are currently no reports of endemic cases of Ebola infection in the United States. 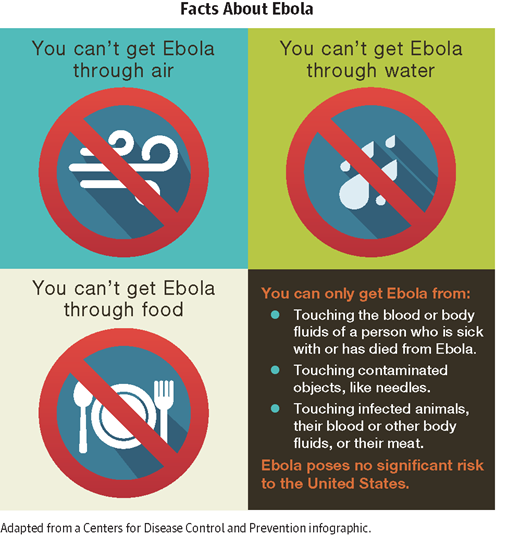 There is no vaccine to prevent Ebola infection, and treatment is supportive. Despite recent media reports that suggest the contrary, Ebola patients can be safely managed in any acute care hospital if CDC recommended precautions are strictly followed. The Department of Infection Prevention is working closely with many key stakeholders across the medical center to ensure we are prepared to care for patients with suspected or confirmed Ebola infection. More details on the recommended infection prevention practices can be found below. Contact 875-4000 and activate the EBOLA RESPONSE TEAM if you encounter a patient in which Ebola infection is suspected. Mumps is a viral illness best known for the puffy cheeks and swollen jaw that it causes. This is a result of swollen salivary glands. How does a case of mumps present? The most common symptoms include fever, headache, muscle aches, tiredness, loss of appetite, and swollen and tender salivary glands under the ears on one or both sides (parotitis). The gland swelling may occur several days after the onset of the other symptoms. Rarely, complications such as orchitis (inflammation of the testes), mastitis (inflammation of the breast), pancreatitis, encephalitis, and meningitis can occur. Death from mumps is exceedingly rare. The mumps virus infects cells in the upper respiratory tract and spreads through direct contact with respiratory secretions or saliva or through fomites (e.g. hands). The risk of spreading the virus increases the longer and the closer the contact a person has with someone who has mumps. When a person is ill with mumps, he or she should avoid contact with others from the time of diagnosis until at least 5 days after the onset of parotitis by staying home from work or school and staying in a separate room if possible. Patients who are suspected of having mumps infection should be placed into Droplet Precautions (wear a surgical mask to enter patient room). What specimens should be collected from patients who meet the mumps clinical case definition? The TN Dept of Health (DOH) recommends that a buccal (inner cheek) swab collected using a Dacron swab placed into viral transport media be collected from all patients with clinical features compatible with mumps. These should be sent for mumps PCR and culture testing. 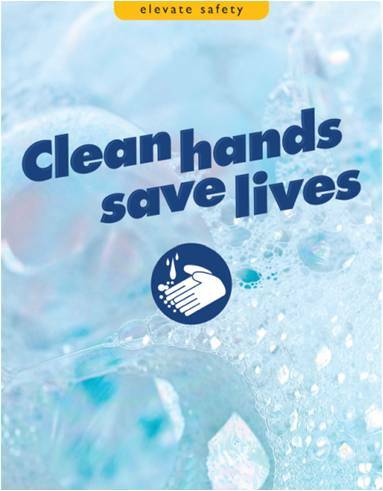 THIS TEST MUST BE APPROVED BY THE DOH - THIS APPROVAL CAN BE FACILIATED BY THE DEPARTMENT OF INFECTION PREVENTION. Serology testing (for IgM) can become positive later in the course of illness but should not be used alone to determine the presence of acute mumps infection. In addition, commercial serology testing on someone who is previously vaccinated is very difficult to interpret. True mumps cases with past mumps immunization can have negative IgMs; there are issues with cross-reacting antibodies in some cases of infection with other viruses; and, in situations where a person has a high IgG they can have a false positive IgM due to the incomplete clearance of IgG in the commercial indirect capture assay. Therefore, the TN DOH does not recommend usigng mumps serology to diagnose an acute case of mumps in a vaccinated individual. See https://www.cdc.gov/mumps/lab/qa-lab-test-infect.html for more information. Remember that other viruses (including influenza A which is currently circulating in Middle Tennessee) can cause parotitis. Send respiratory viral panel testing to rule out such infections in suspected cases. How do I collect a buccal swab? Break off the swab and leave it in the VTM. The swab should remain in contact with the VTM for at least an hour. BE SURE TO MARK THE VTM TUBE WITH “BUCCAL” to avoid confusing it with the nasopharyngeal swab. Is there a vaccine against mumps? Yes. Mumps can be prevented with MMR vaccine. This protects against three diseases: measles, mumps, and rubella. CDC recommends children get two doses of MMR vaccine, starting with the first dose at 12 through 15 months of age, and the second dose at 4 through 6 years of age. Teens and adults also should be up to date on their MMR vaccination. MMR vaccine is very safe and effective. The mumps component of the MMR vaccine is about 88% (range: 66-95%) effective when a person gets two doses. Compliance with MMR vaccination/immunity is very high among VUMC faculty, staff and students, which will help stem transmission. When would CDC recommend giving individuals a 3rd MMR dose? Although evidence of its effectiveness is needed, a third dose of MMR vaccine may be considered as a control measure during mumps outbreaks occurring in settings in which persons are in close contact with one another, when transmission is sustained for over 2 weeks despite high 2-dose MMR coverage, and when traditional control measures fail to slow transmission. The Department of Health is not currently recommending a 3rd MMR dose for any individuals involved with this current cluster. Recognize signs and symptoms of mumps and follow the infection control precautions outlined above. Occupational Health will identify and contact exposed individuals, determine immunity status, and provide any additional recommendations. Check your own vaccination/immunity status in the Health and Wellness Information Portal at https://myhealthandwellness.vanderbilt.edu. Click “Occupational Health Status” to see what services are needed for compliance, and “Occupational Health Record” to view your record. Anyone without evidence of immunity in their record can come to the Occupational Health Clinic (hours: 7:30a – 5:30p M-F) to receive the vaccine. Consider mumps as a diagnosis in anyone with unilateral or bilateral parotid or other salivary gland swelling. Isolate suspected mumps cases using Droplet Precautions (wear a surgical mask to enter patient room) and place a surgical mask on the patient when he or she must travel outside of the room. Obtain specimens for testing (oral/buccal swab for mumps PCR IF APPROVED BY DOH, mumps serology IgM and IgG if unvaccinated, other viral testing such as RVP). All healthcare workers need to be up to date on MMR vaccine/or immunity status. Check your vaccine/immunity status in the Health and Wellness Information Portal as outlined above. Please contact Infection Prevention with any questions at 615-835-1205.